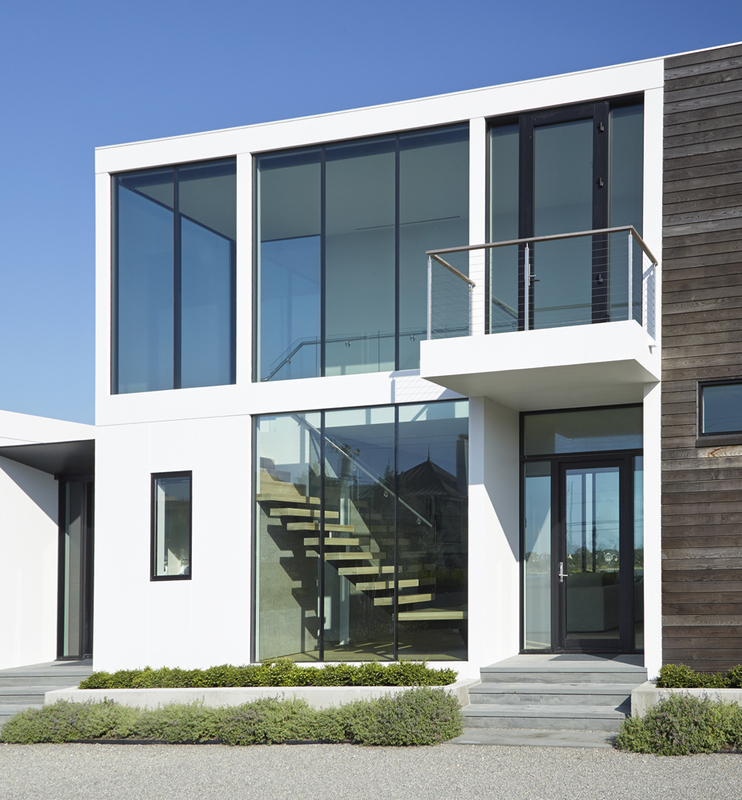 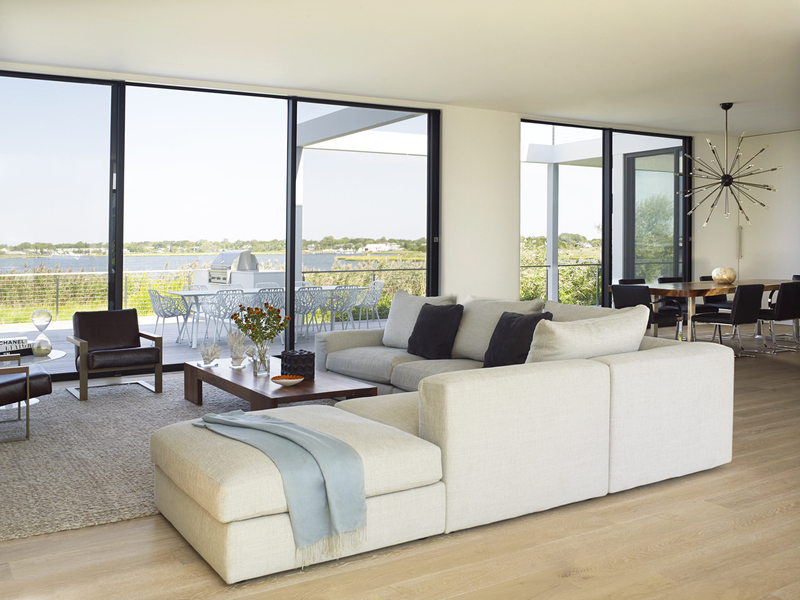 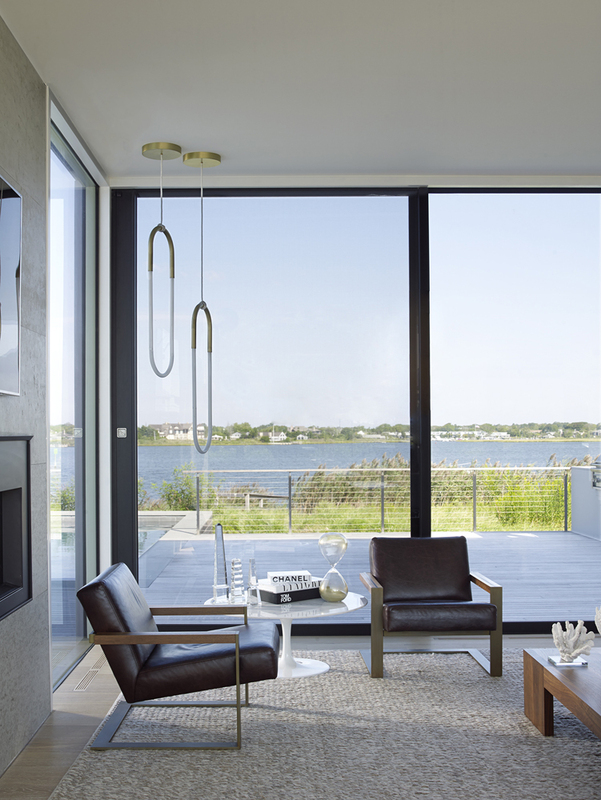 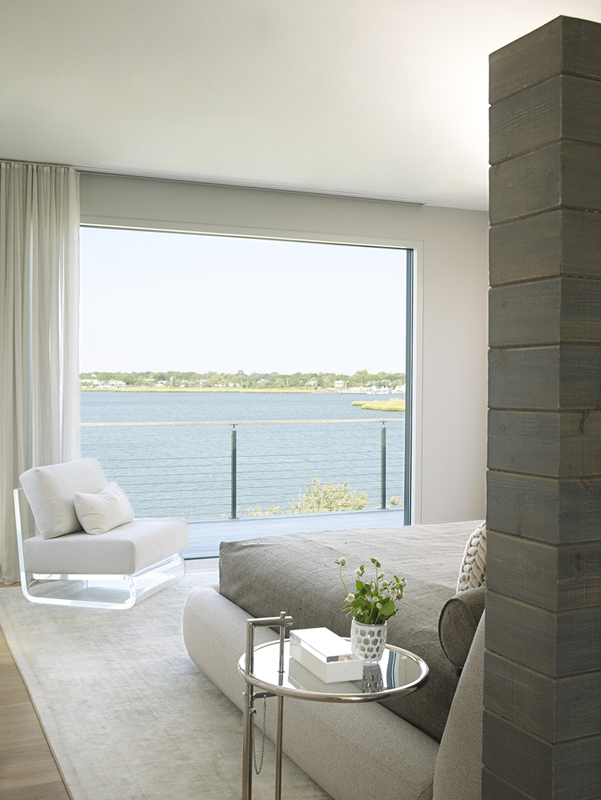 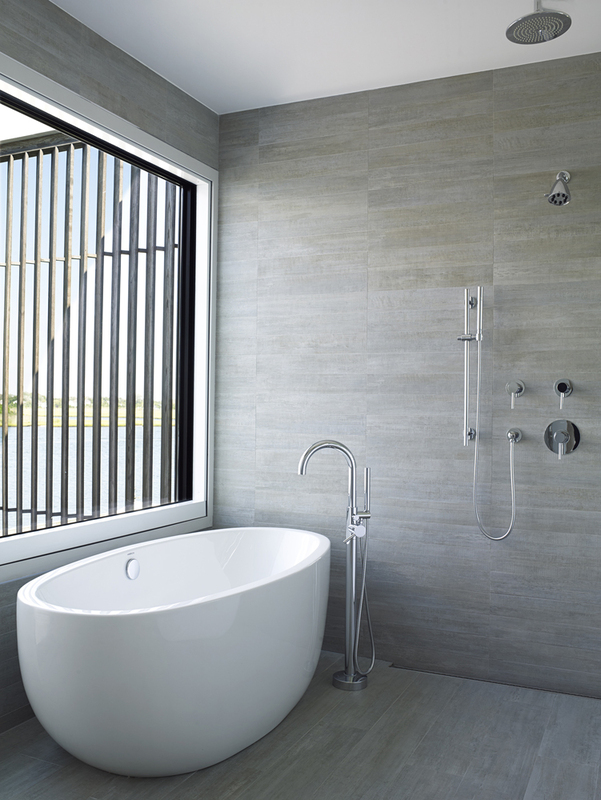 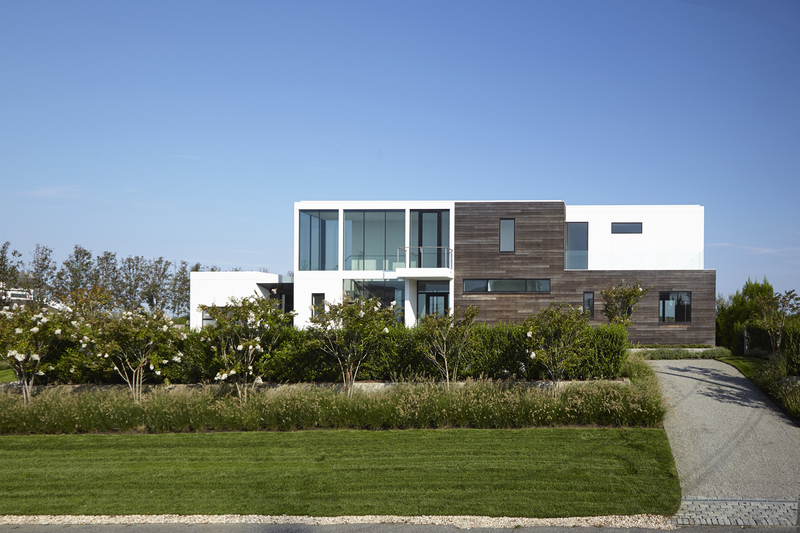 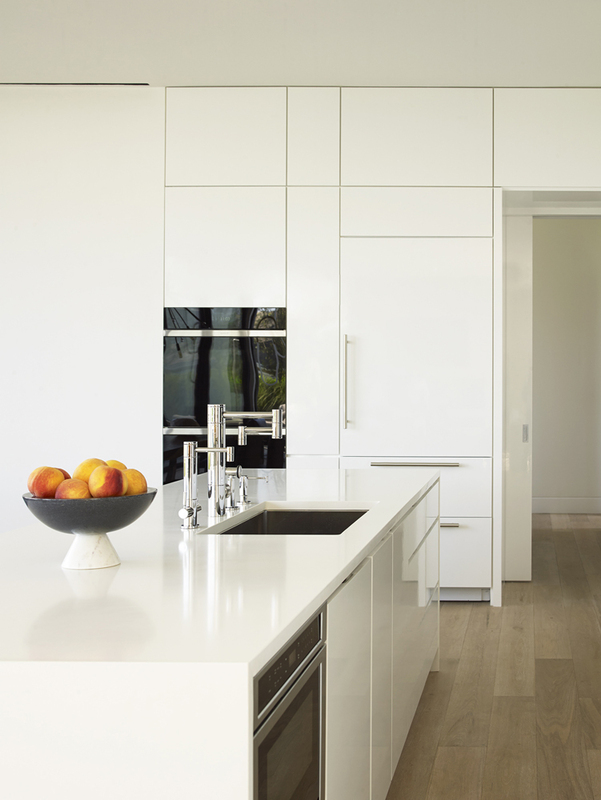 Large glass openings allow light and expansive views of Moriches Bay into this clean contemporary, a series of rectangular boxes offset with contrasting materials - durable white Azek and dark weathered oak modified to withstand exterior conditions. 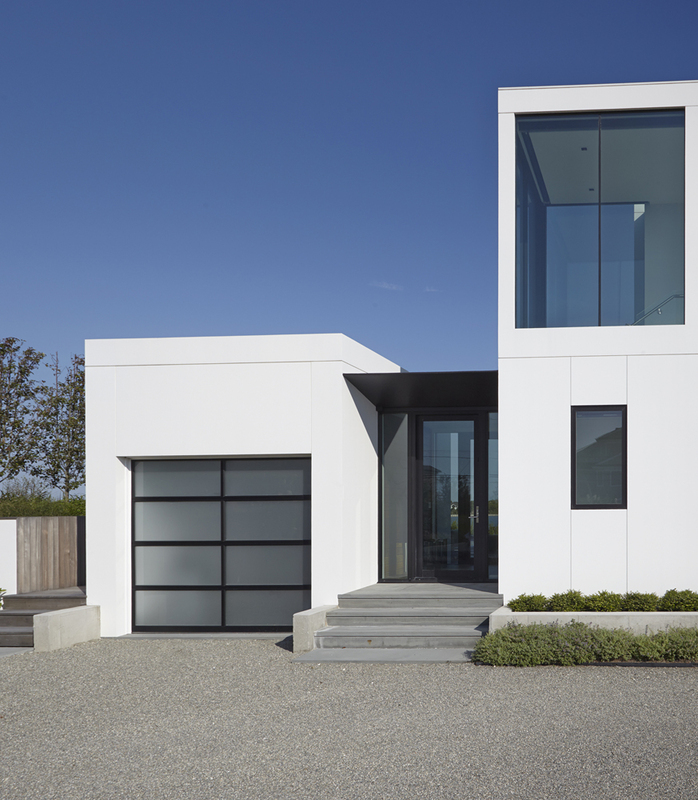 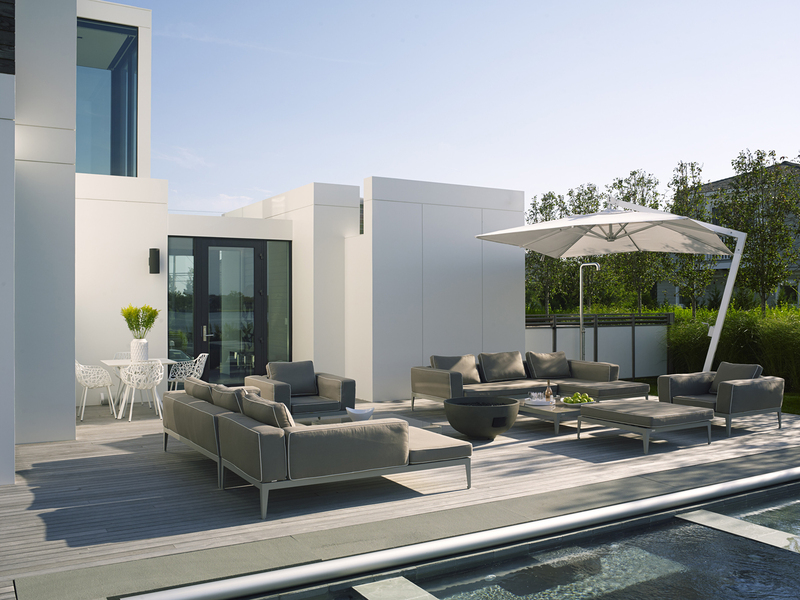 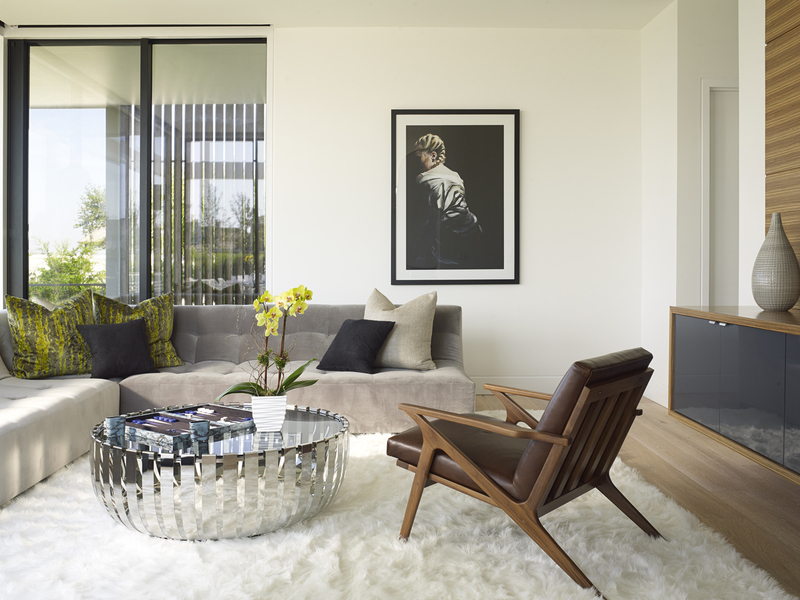 The 4,500 square foot house features an open plan for public spaces and five bedrooms. 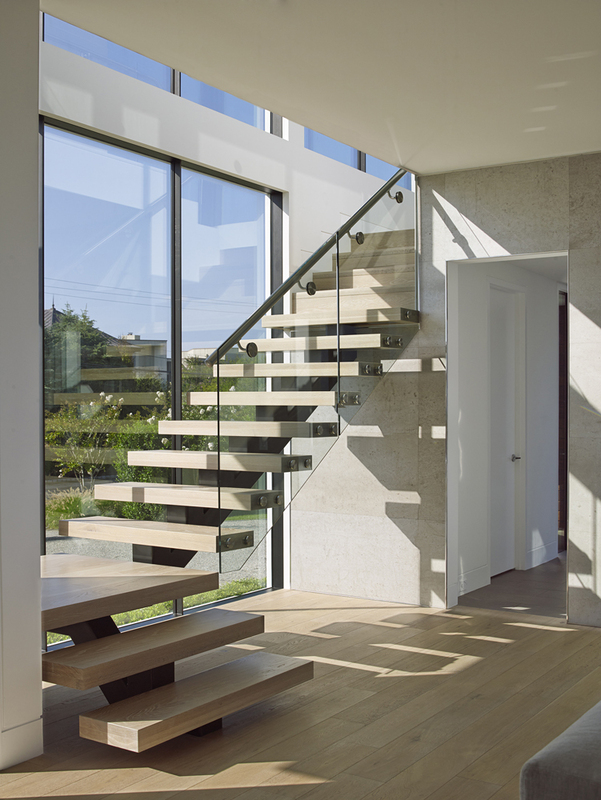 Double-height windows afford the open staircase views of the ocean while ascending. 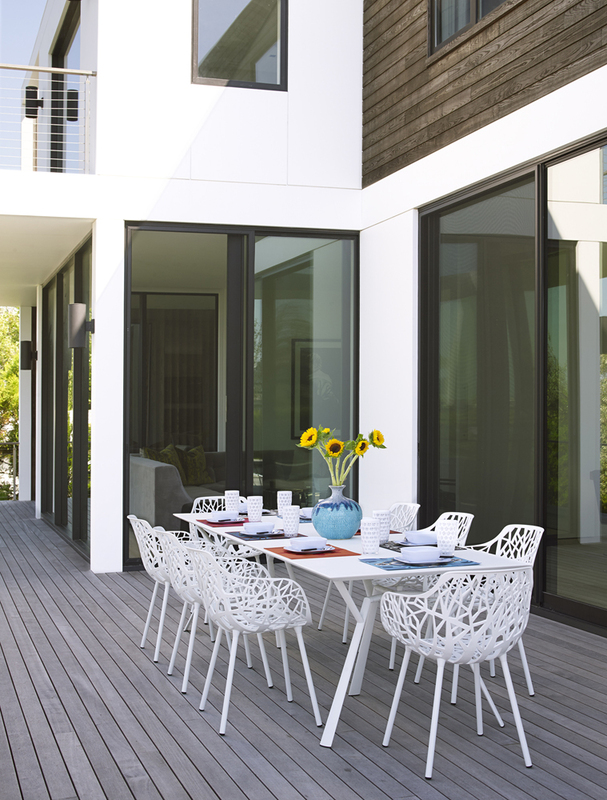 An additional 3,655 square feet of deck on the upper and ground floors along with a pool provides ample space for outdoor enjoyment. 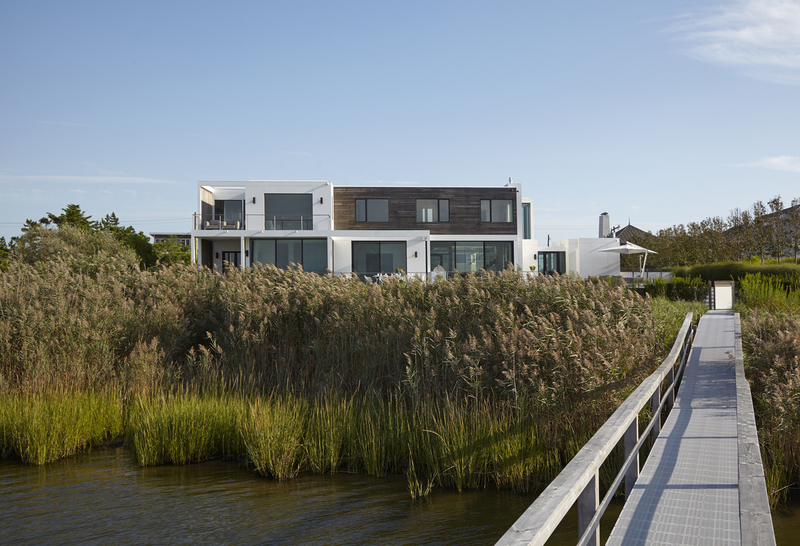 The property also includes a dock, adding water access to the bay and Atlantic for this active young family and their guests.